Amazon.com description: Product Description: H.G. 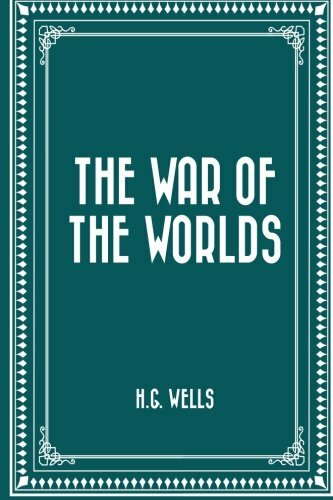 Wells (21 September 1866 â 13 August 1946) was an English author best known as a sci-fi writer, though he was also a prolific writer in many other genres, including contemporary novels, history, politics and social commentary, and even writing text books and rules for war games. Together with Jules Verne and Hugo Gernsback, Wells has been referred to as "The Father of Science Fiction". Wellsâ best known works are The Invisible Man, The Time Machine, and The War of the Worlds. The War of the Worlds, featuring the fight between man and Martians, is one of the most influential sci-fi titles of all time. It spawned its own subgenre of sci-fi, and it was featured in film and radio, even famously setting off a panic via radio broadcast among listeners who were unaware that Orson Welles' narration was based on Wells' classic fiction.